Healthcare systems around the world are being challenged by ever greater demand against a backdrop of economic pressure. the same healthcare benefit at a reduced overall cost. 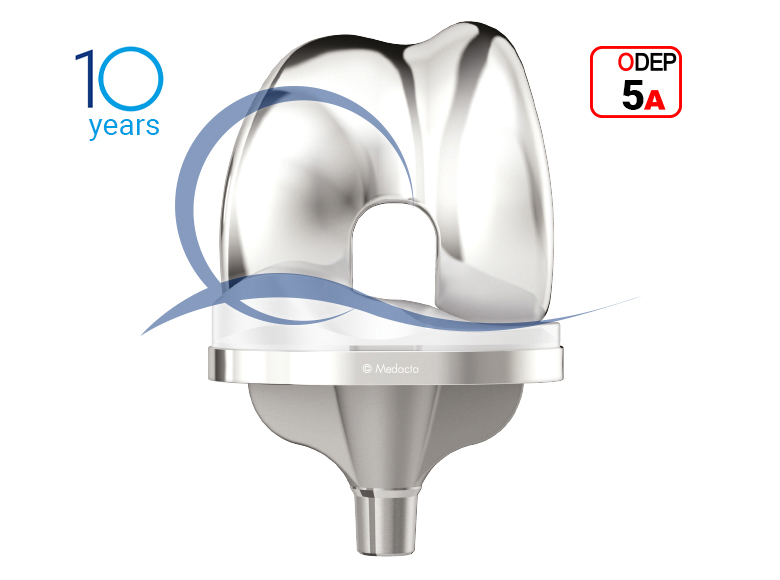 to optimise instrument management, providing significant benefits in the O.R. and throughout the hospital supply chain. Following Medacta’s holistic vision, GMK Efficiency is able to deliver innovation to every healthcare stakeholder. Management of implant-related re-usable surgical instruments is eliminated. The use of single-use instrumentation can potentially reduce the risk of non-sterile instrument occurrences. The estimated cost for a single surgical site infection is on average $25,500. a surgical session, generating incremental revenue. Avoiding surgery cancellation or delay, due to un-sterile, missing or dysfunctional instruments. 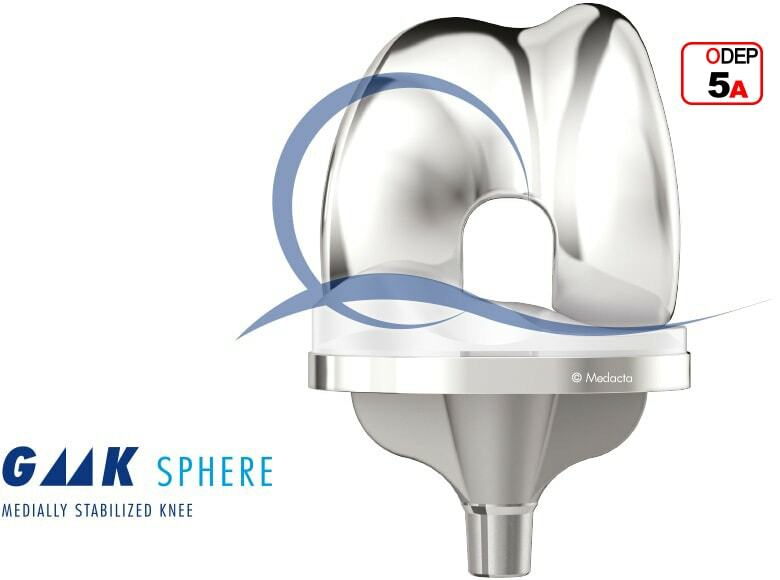 GMK Efficiency is extremely versatile as it can be applied to the comprehensive portfolio of GMK Primary and to the innovative Medacta knee system: GMK Sphere. The optimised size specific layout allows easy selection of the most suitable composition for the surgery, minimising instrument volume and simplifying backtable preparation. 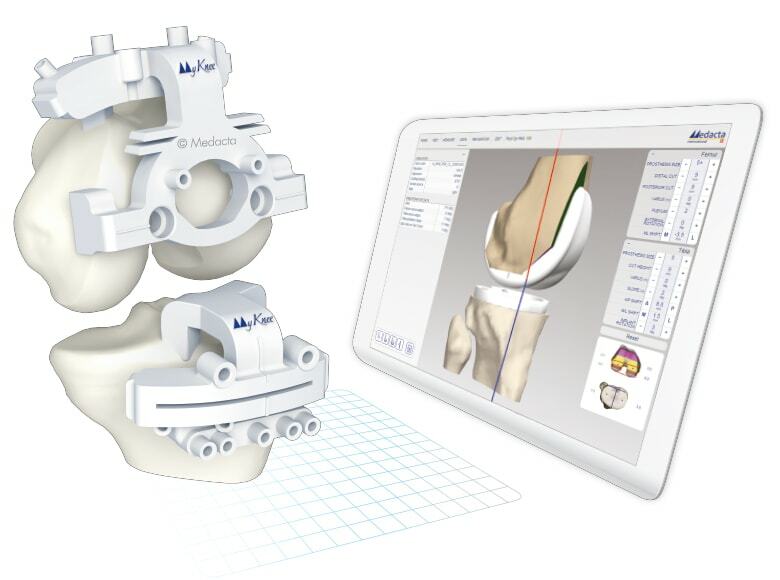 GMK Efficiency used in combination with MyKnee, patient-matched instrumentation further enhances its potential benefits. The O.R. efficiency and savings are combined with potential advantages for the patient, like accurate implant positioning, reduced blood loss and decreased hospitalisation. 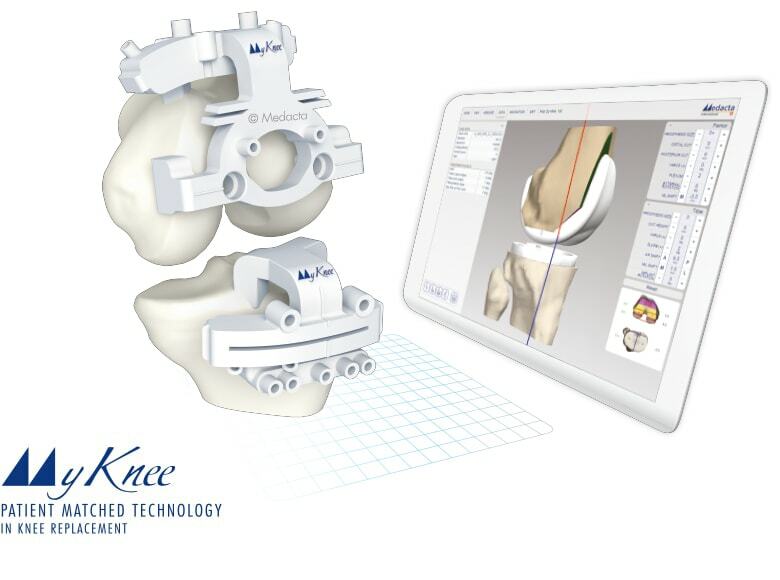 As an alternative to MyKnee, the GMK Efficiency conventional set can be provided including alignment guides and sizer. 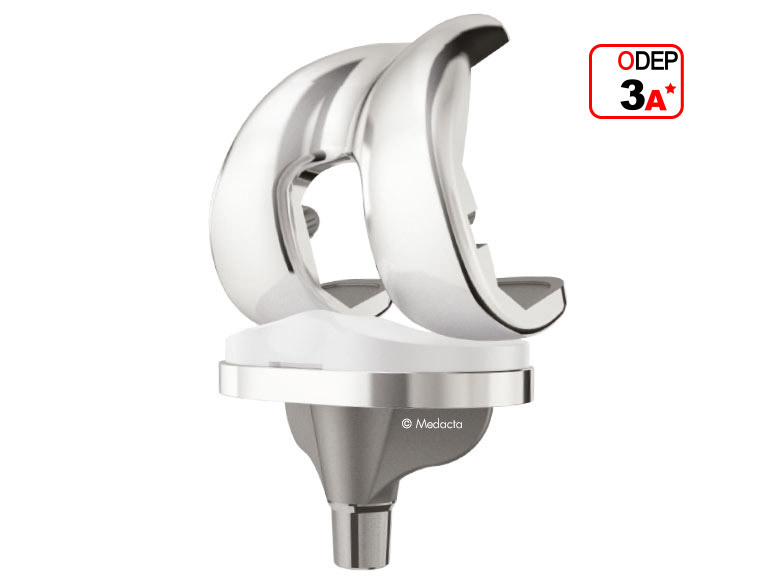 A GMK Efficiency patella set is available as an option. The MTech process combines special medical grade composite technopolymers with a precision based manufacturing process. The innovative technopolymers are able to give high fatigue and abrasion resistance alongside form versatility. allowing for more straightforward surgical procedures. 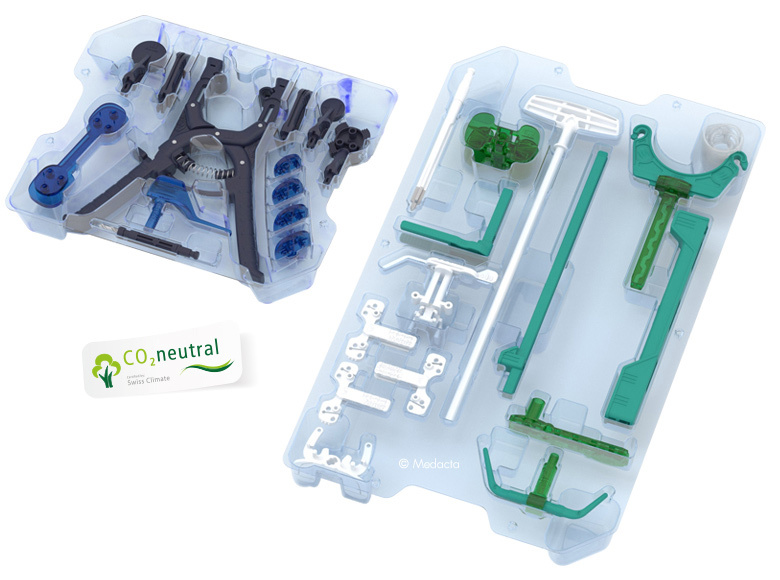 Impaction instruments have the same solidity as the metal ones but with less weight, almost 10 times less than a conventional re-usable instrument set! lighter instrumentation, simplified back table and ergonomic instruments. of the surgery cancellation or rescheduling due to sterility breaches or unavailable instruments. the extreme reproducibility of the GMK Efficiency surgical procedure. CAN BE ESTIMATED AROUND 7% OF THE GLOBAL TKR PROCEDURE COST. Ask your Medacta sales representative for a customised evaluation of these savings for your hospital! GMK EFFICIENCY IS CARBON NEUTRAL! 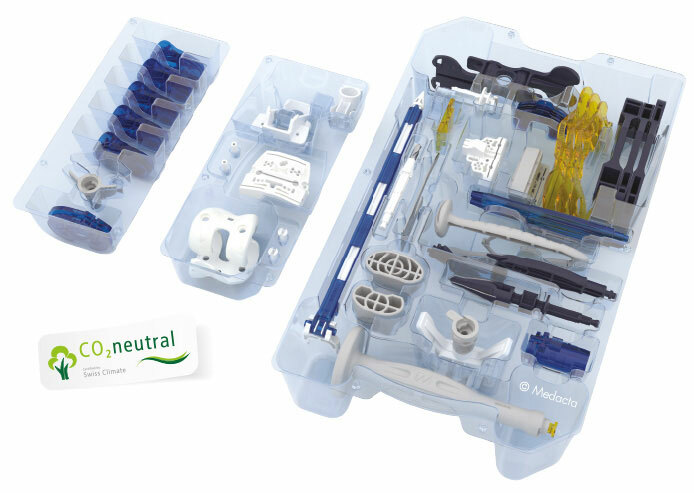 During the development of the GMK Efficiency platform, Medacta considered the environmental impact of the disposable product’s life cycle; from manufacture, to usage, to disposal. 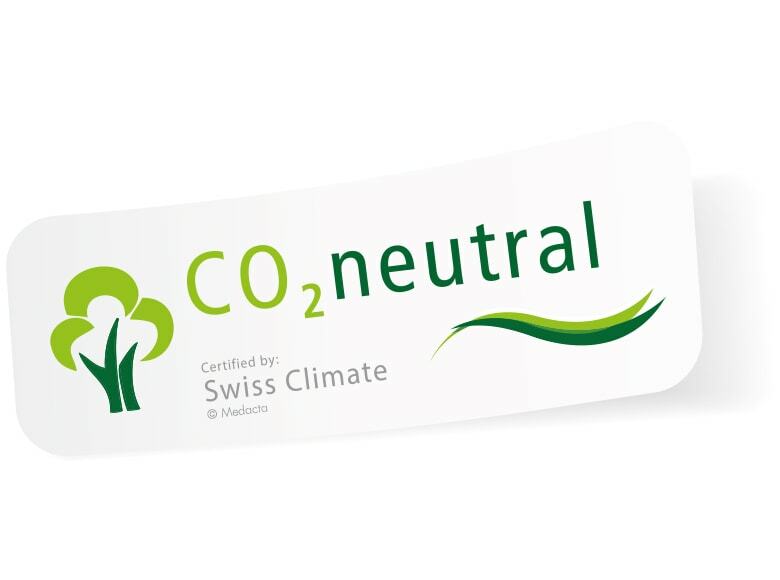 An analysis was carried out by SwissClimate, an independent organization focused on assisting companies in setting up holistic climate strategies and sustainable concepts. 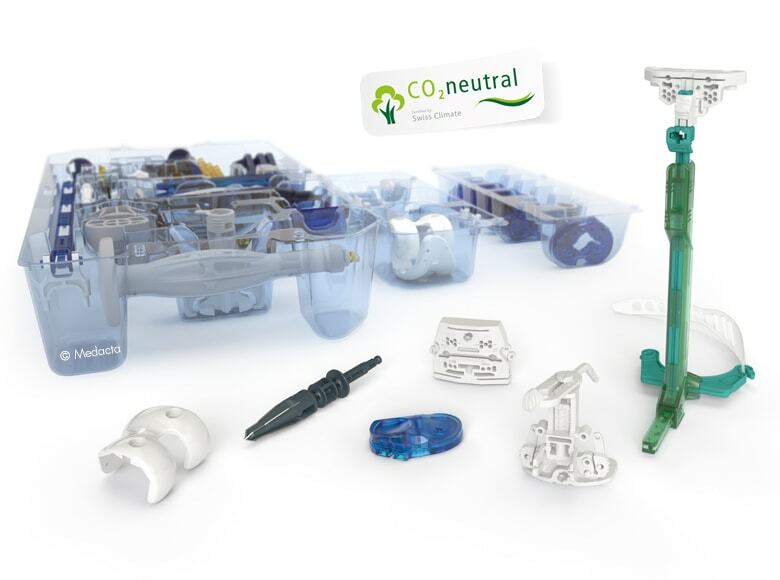 Their findings demonstrated the environmental impact of GMK Efficiency is neutral, when compared to the average CO2 equivalent annual emission of a hospital using conventional metal re-usable instrumentation. 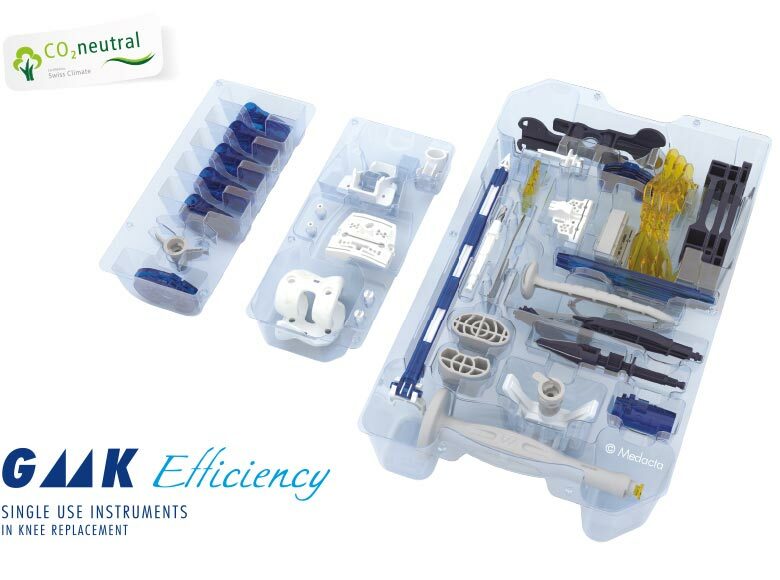 In addition, by eliminating washing and sterilization, GMK Efficiency Single Use Instrumentation offers a savings of up to 435 litres of water for each knee arthroplasty[6-8]. Siegel G. W., Patel N. N., Milshteyn M. A., Buzas D., Lombardo D. J., Morawa L. G., M.D., Cost Analysis and Surgical Site Infection Rates in Total Knee Arthroplasty Comparing Traditional vs Single-Use Instruments. The Journal of Arthroplasty 30; (2015): 2271-2274. 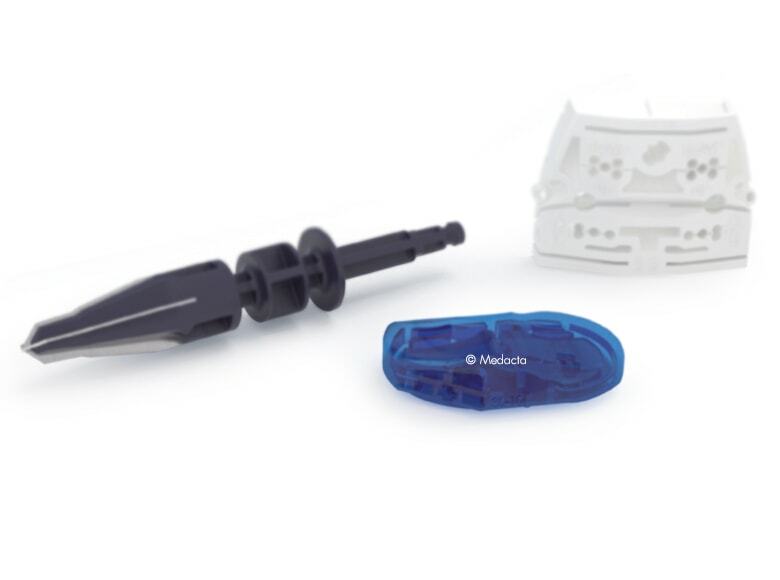 Dell’Osso G, Celli F, Bottai V, Bugelli G, Citarelli C, Agostini G, Guido G, Giannotti S Single-Use Instrumentation Technologies in Knee Arthroplasty: State of The Art, Surg Technol Int. 2016 Apr 27;XXVIII. pii: sti28/727. Survey on European Hospital s and Clinics. Data on file Medacta. Product Carbon Footprints: Comparative analysis metal vs. single use instrumentation, SwissClimate AG, 2014. Getinge 46 Washer Disinfector - Service instructions. Priorclave North America Report, 2013.